The Butter Stone sits near the edge of open moorland a few yards to the west of the minor road connecting Cotherstone in the north to Bowes in the south. It was deposited there quite by chance several thousand years ago by a passing glacier. 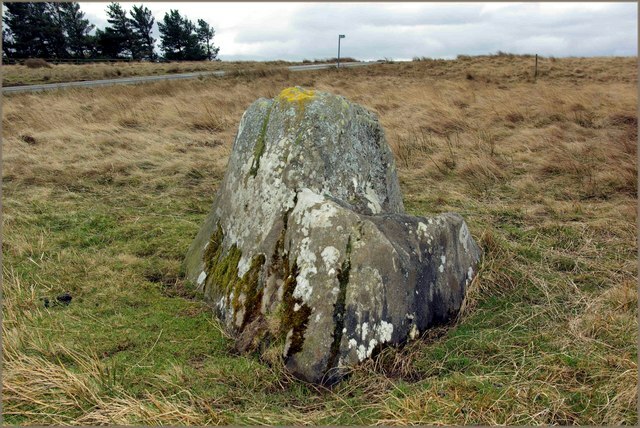 The oddly-shaped rock has in its top a cup-like depression, which, it is said, was used in times yore to leave monetary payment in exchange for food. This was during outbreaks of plague, when close human contact was best avoided – so the spot acted as a sort of mini-market or makeshift trading post for the health-conscious. Presumably, butter must have been at one time the most important commodity traded here, but there would have been much more besides. Elsewhere these sorts of landmarks are known simply as plague stones. Nowadays you may find a coin or two placed there out of a nod to those troubled times – more often than not in a little puddle of rainwater! During commercial use, though, the money would have been placed in a pool of vinegar so that it may be adequately disinfected. Perhaps the little boulder at one time had some deeper meaning, but I suspect we shall never know for sure. Sometimes thing just get lost in the history. Wow, that stone must be ripe with disease.